The most recent issue of the Celebrator Beer News, still on the stands now (by which we mean some copies may be still sitting in bales or in paper racks around select craft beer destinations for your classic tactile page-turning enjoyment), includes excerpts from an interview with local women in the beer industry, members of the Pink Boots Society, in our regular column about beer in the City of San Francisco. One of the frustrating things about writing for publication is that we often end up with more amazing material than can fit. 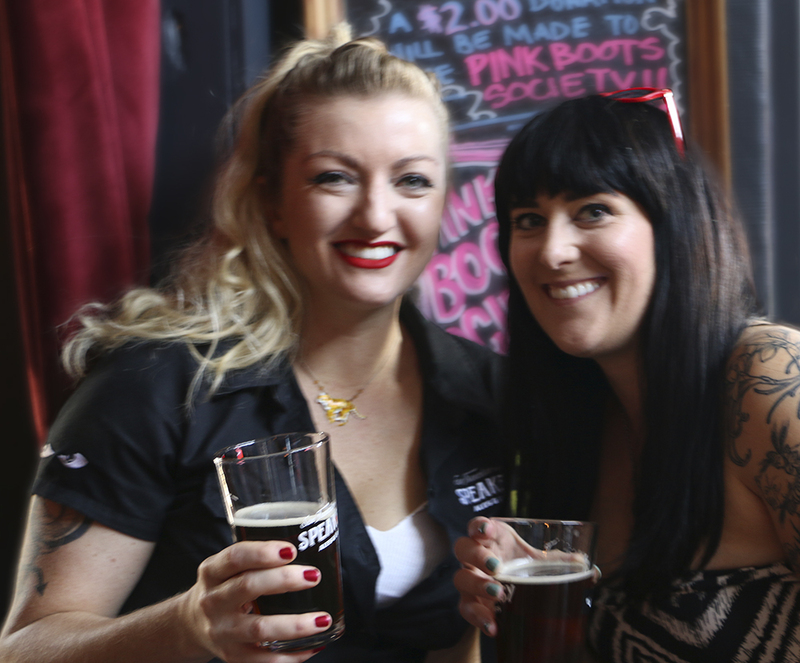 So here are some extra photos from the lead up to writing about the Pink Boots brew day, and some unused quotes I loved from a wonderful conversation with with Tiffany McFarland, Cat Wiest and Summer Huff at Speakeasy at the release party. 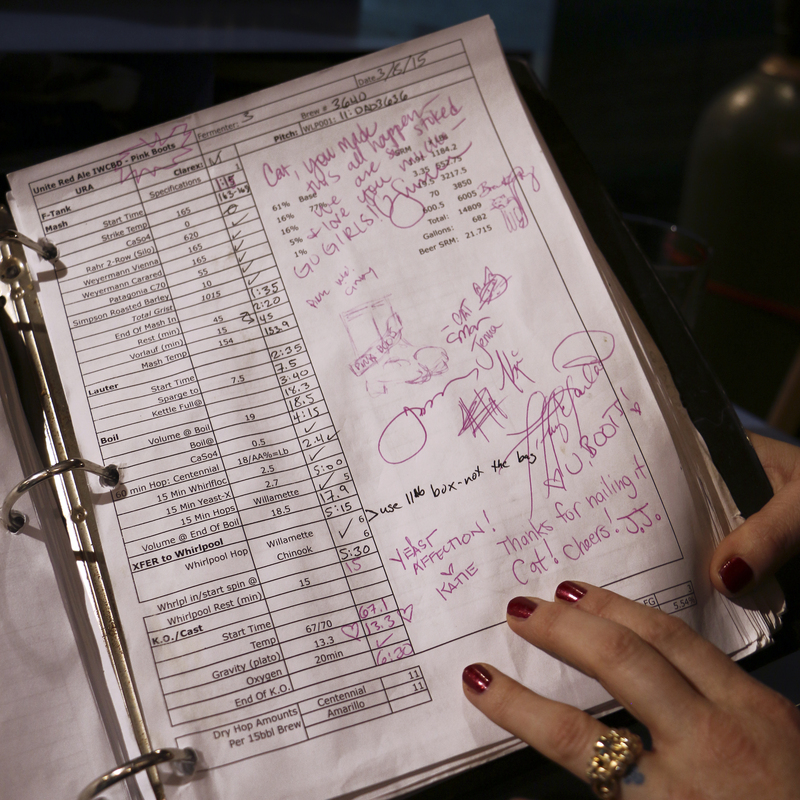 Cat led the collaboration brew day, as explained in the article. 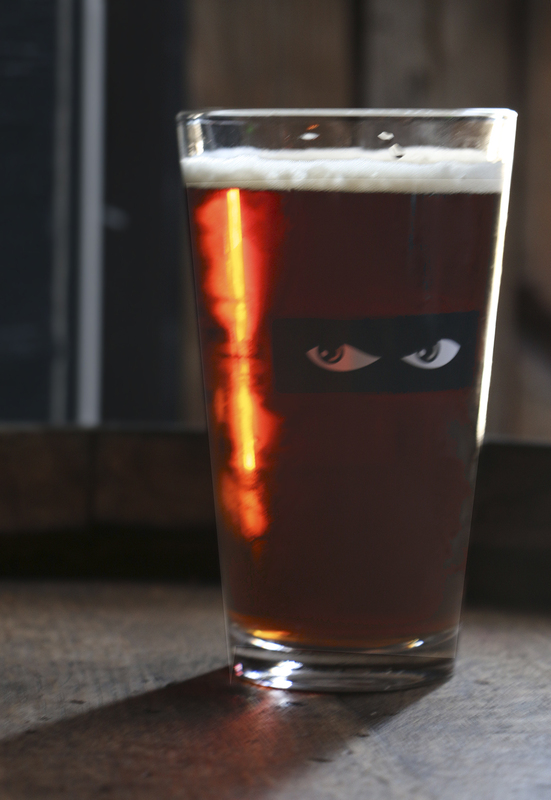 Her adventurous background as a commercial Alaskan fisherman and a pro roller derby competitor contribute to her enthusiastic approach to brewing, and she has many stories that should be told. 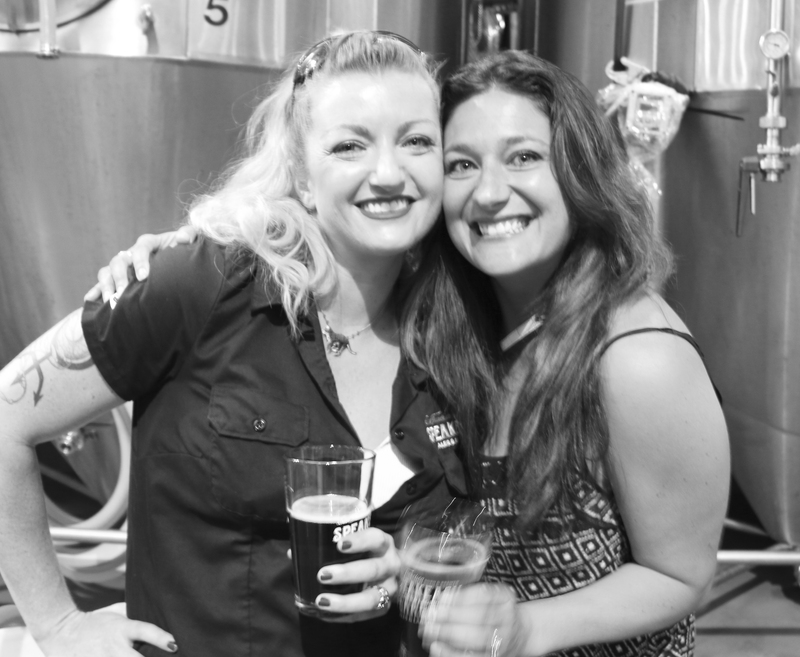 There is also a sweet shot sent along by Denise Ratfield from San Diego, who we quoted in the Celebrator article about her role in helping female brewers in Mexico participate in the international event. Very cool. So here we go. A little bit of the rest of the story. The log for the Pink Boots brew day, in pink ink. Brewer Cat Wiest offers fermenter samples to her Pink Boots colleagues. 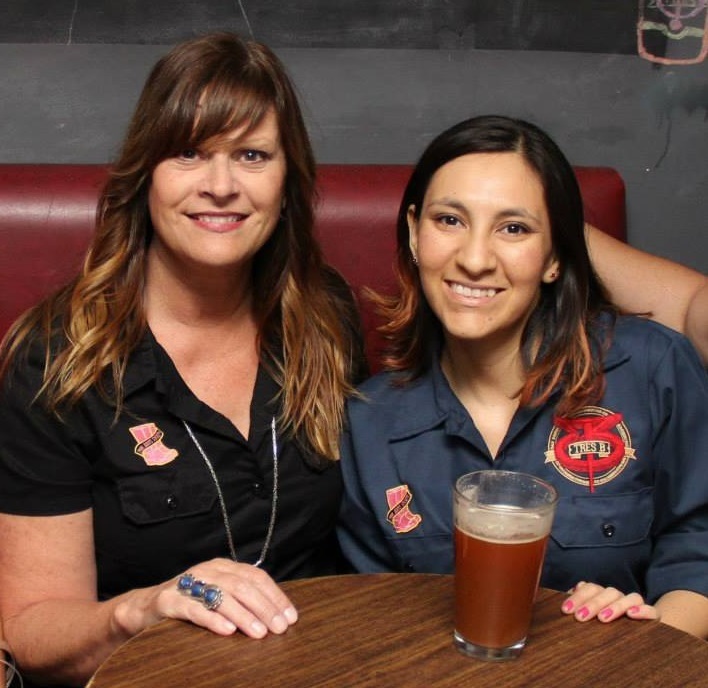 Denise Ratfield and Mexican brewer Laura Estela Garcia drinking Chicali – Unite red Ale from Cerveceria Tres B in Mexicali, Mexico. 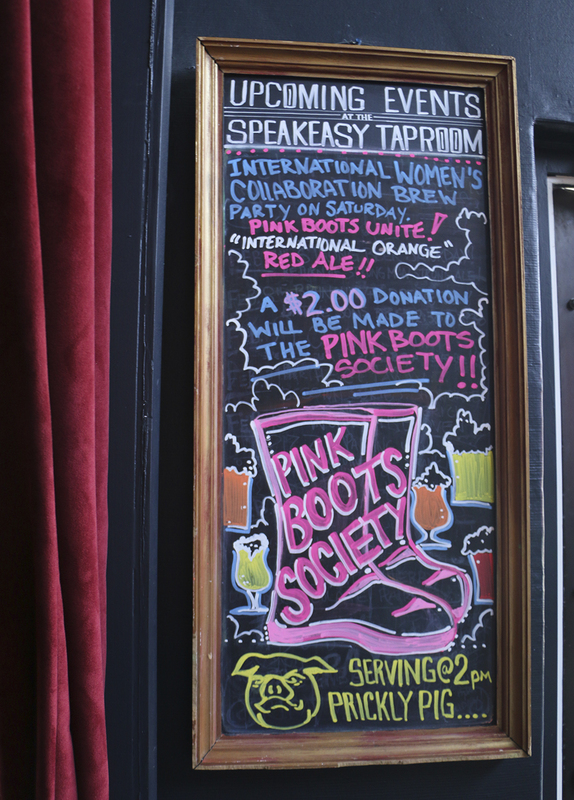 The international Pink Boots Society recently circulated word of debilitating brewing accident that struck Kerry Thomas, a brewer from Idaho who could use some help from the beer community in her recovery from massive burns. And on a completely different, beery and cheery note, they are offering a raffle fundraiser for a cool sounding trip to Germany. Check it out.